Park Hyatt Beaver Creek has the most amazing housekeeping department. They came up with the unique idea of building a pyramid using rolls of Kimberly-Clark Cottonelle Kleenex toilet paper and chose the outdoors so they could enjoy the beauty of the vivid fall colors.The pyramid consisted of 1,320 rolls of toilet paper, 595,320 sheets, 67,628 square feet, or 6,292 meters, using 22 cases. It stands 14 feet tall and at an elevation of 8,119 feet. Housekeeping is celebrated throughout the week of Sept. 19 to 23 with a variety of activities, meals and acknowledgements recognizing the hard work of our fabulous housekeepers. Our housekeeping department boasts a diversity of nine different countries. Showing their pride, care and enjoying the comradery of the team was essential for them. âI am so proud of our housekeeping team. 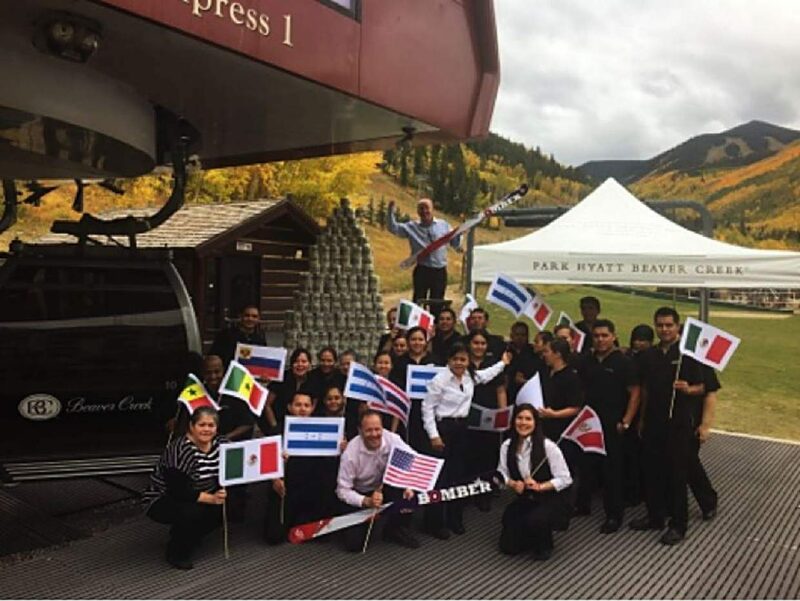 The most dedicated, caring and hardworking group, always looking to have fun at workâ states Robert Purdy, general manager at the Park Hyatt Beaver Creek Resort and Spa. Great job, team.